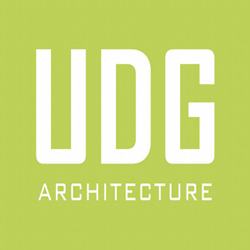 Urban Design Group is a full service Architecture Firm providing sustainable solutions for the Mid-Atlantic region. At Urban Design Group we understand that buildings and their surrounding environments are an integral part of this new economy. As sustainable architects, we are responsible for restoring and enhancing the current state of the built environment. Our approach goes beyond reducing the negative impacts of construction. We design concentrated developments to promote urbanism, public life, and shared use of resources. We seek to create buildings that produce, rather than consume energy. Our projects contribute additional green space and improve air quality. Our main objective is to design buildings and the surrounding environment to enhance the quality of life and respect the ecosystem. UDG’s ecological design philosophy is evident in our work. We recognize that our design principles guide our mission for achieving sustainability, innovation, civic responsibility. Full Service Architecture Firm, specializing in sustainable design, seeks experienced studio coordinator/ administrative assistant. Ideal candidate has a positive attitude, is detail oriented, hardworking and has an appreciation for architecture/design. Responsibilities include day to day office administrative operations, greeting clients and scheduling client meetings, tracking business finances, assist with business development and marketing, creating company newsletter, event planning, maintaining office supply inventory, etc. Ideal candidate is capable of wearing many hats and looking for a long term commitment. Quickbooks or Photoshop skills are a plus. Assist Graphics Coordinator in creating graphic flyers, proposal materials, create marketing materials for architectural firm such as brochures, videos, interactive animations for company website, etc. We are very open to discuss your specialties and how we can incorporate that into a specific project for marketing UDG. We are very flexible on scheduling and hours.